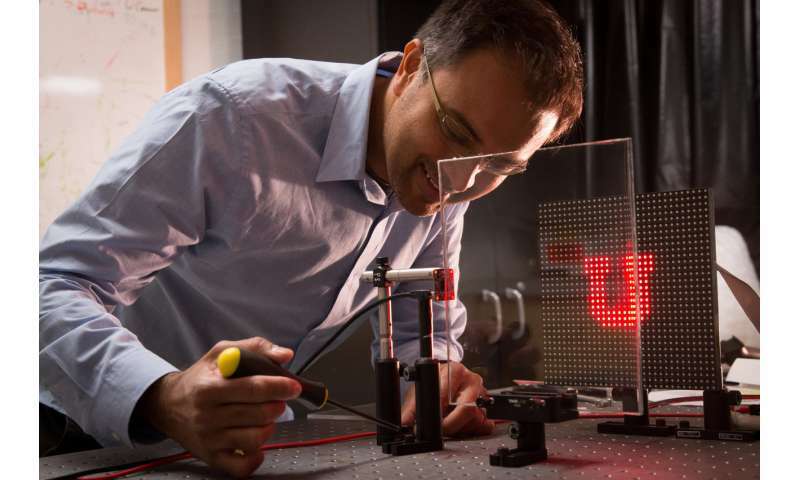 More information: G. Kim and R. Menon, "Computational imaging enables a "see-through" lensless camera," Opt. Exp. (in press). An inexpensive, off-the-shelf camera sensor was connected to the side of a plexiglass window, but pointed into the window while the light board was positioned in front of the pane at a 90-degree angle from the front of the sensor. I didn't understand anything from that explanation. How come the sensor saw the image if the image was rotated 90 degree's from its face? That means the sensor could only see the left side or right side of the led panel.